The weather may be chilly, but we're never one to turn down ice cream—especially when you can get it at an incredible price. Dairy Queen wants you to hold on to your loose change because on November 22 you can get a Regular Cookie Crunch or Mint Chocolate for only P1 for every purchase of any Regular Blizzard! 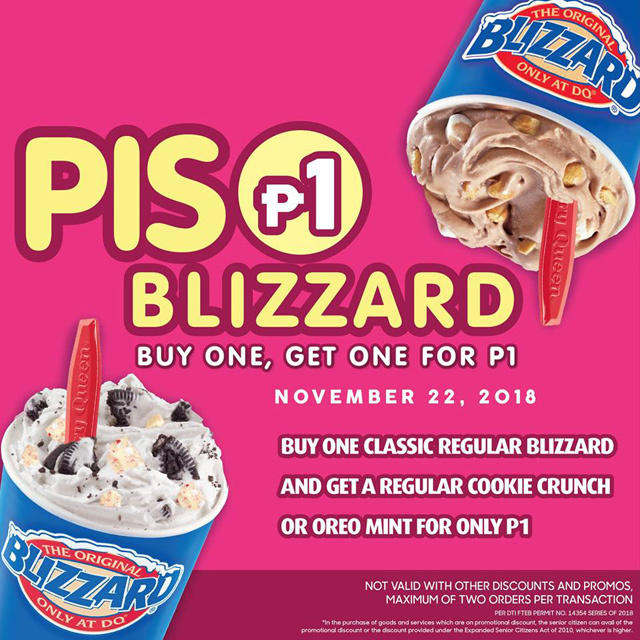 There's really no other catch for this promo aside from you are only allowed a maximum of two one-peso Blizzards in a single transaction. 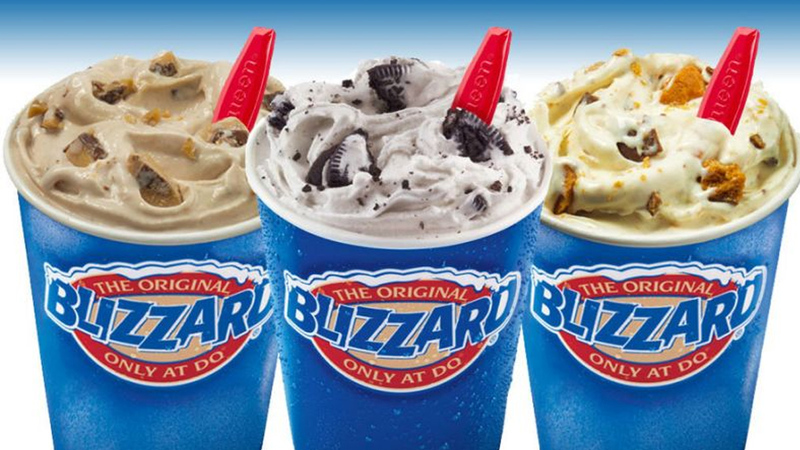 We think this is the perfect excuse to try Dairy Queen's Blizzard of the Month: Hershey's Kisses with Almonds Blizzard, which has Hershey's Milk Chocolate-covered almonds blended with their signature vanilla soft-serve. This promo is available at all Dairy Queen branches except for Dairy Queen Enchanted Kingdom.